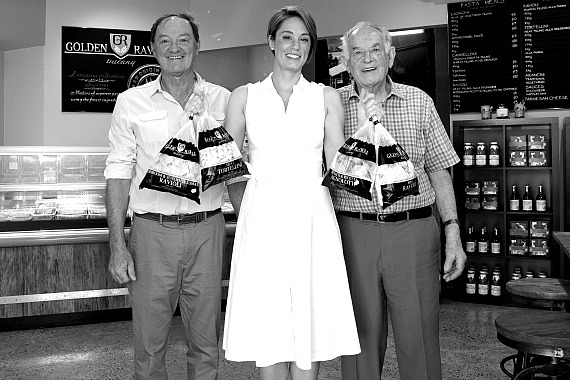 Golden Ravioli is Perth’s premier purveyor of fresh pasta, proudly owned and operated by the Lenzarini family for over 50 years. 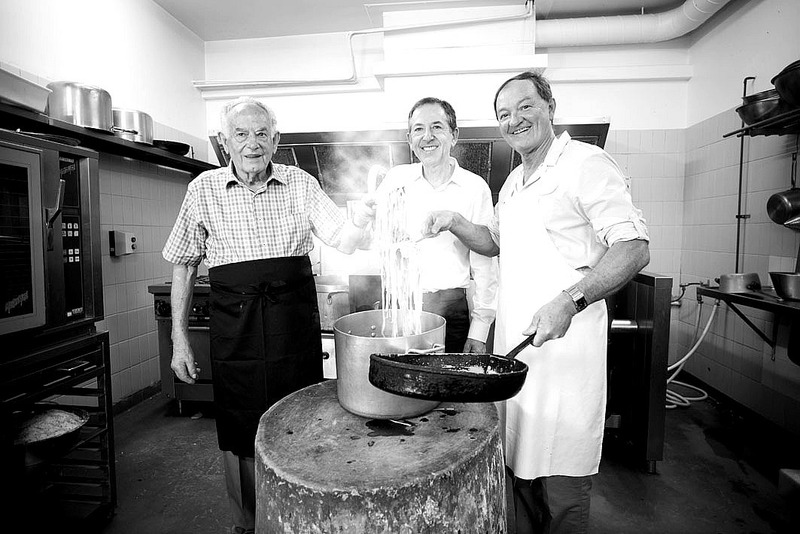 Launched in 1964 by the Lenzarini brothers in response to Perth’s growing love affair with fresh and authentic pasta, the family continue to craft its distinctive high-quality products with passion and tradition. In the early 1950s, a young, determined and brazen Italian man walked into the Lamberti Restaurant (located at the time on James St, Northbridge, Perth), searching for a new opportunity. Disinterested in his monotonous and tiresome job as a fruit picker, he applied for the position of chef advertised by Lamberti. The catch: he had no formal training or experience. It was this risk-taking and bold attitude that gave Florindo Lenzarini the chance he was looking for… and it was the defining step towards the creation of Golden Ravioli. 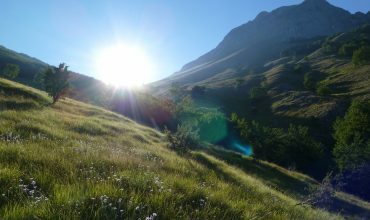 PICTURED: The Apuan Alps mountain range, deep in the region of Garfagnana, Lucca, Tuscany. Originally from humble beginnings, the Lenzarini brothers Carlo, Narciso, Florindo and Stefano, had worked as peasant farmers in a province of Lucca, Tuscany. It was these origins that led to an appreciation of quality produce and especially of a good meal. Tirelessly working the land for a small profit, one by one they decided to leave the family home. However, exchanging the lush, green, mountainous region of their homeland with the flat, arid, brown terrain of Western Australia was by no means an easy transition. Often struggling with a different language and homesickness, all they had was each other, and a burning desire to succeed. The four brothers worked in a variety of jobs when they arrived, including fruit-picking at an apple orchard in Karragullen. 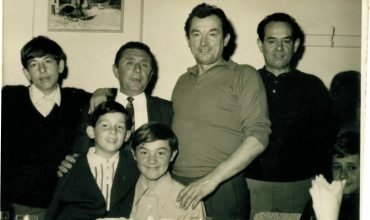 Florindo Lenzarini with his son Danny (front). To his right is his brother Narciso, and Narciso’s sons Carlo and Marco (left). After three years practicing as an assistant chef at Lamberti Restaurant, Florindo, bursting with creativity (tante fantasie), decided that he would open his own restaurant. 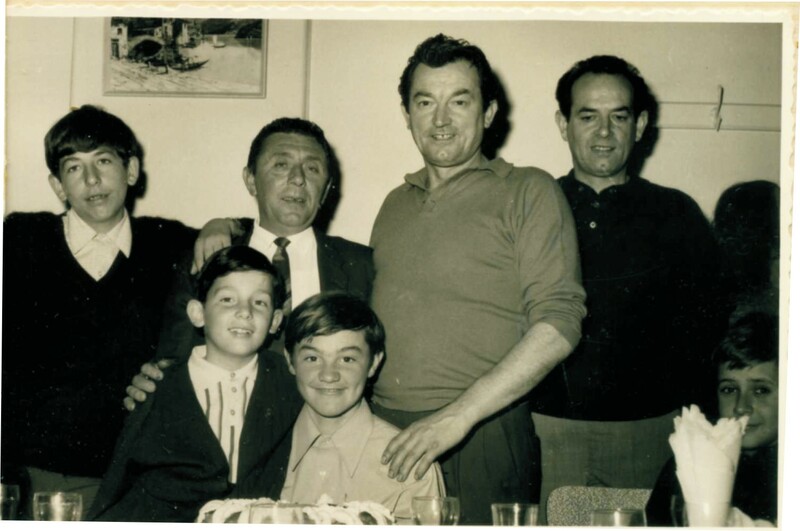 He bought the Romany Café from fellow paesani the Bacci family in 1958 and sent for his three brothers, who were inspired by his passionate urgings. 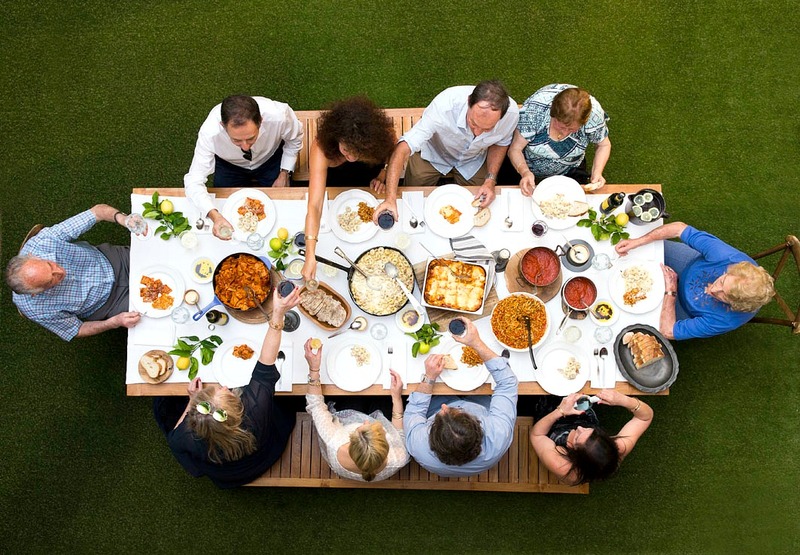 Together the Lenzarini family established the once famous Northbridge institution, the Romany Restaurant, sparking the relationship between their Tuscan cuisine and the appetite of the Perth community. Each brother and their families had their role in the operation and prosperity of the restaurant. Florindo, Carlo and Narciso could be found in the kitchen preparing and plating each dish whilst Stefano at the front of house tended to their patrons’ every need. In the early days, as well as Italians from all regions of Italy, the regulars were of Yugoslav, Greek and Macedonian decent. Many students from the colleges in the city also made the Romany their usual for mid-week lunch. As a result of the brother’s eclectic personalities and expanding conoscenze (contacts) the word soon began to spread about the cucina alla moda Toscana. Customers lined the street, particularly on a Saturday night, when the restaurant would be filled twice over: that is, 250 to 300 covers. Rarely turning away a customer, a table was found (or made) anywhere they could find room. Pots upon pots of minestrone and ravioli in brodo were emptied after each service, whilst cotolette alla Milanese instantly became a favourite. The absence of an alcohol permit didn’t stop them from serving wine in coffee cups and liqueur in the coffee either … it was this cheeky, larrakin-type behaviour and their unique style of cooking that Australian patrons were drawn to and kept them coming back again and again. 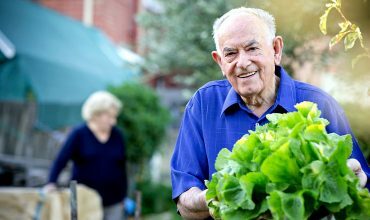 PICTURED: Narciso Lenzarini, aged 89 years old, is the only surviving brother. His wife Floria (deceased) is in the background of this photo. All of the pasta that was made for the restaurant was done so by hand. In those days, there was no KitchenAid to mix the dough or to roll the pasta to the desired thickness. Instead the pasta was impastata (mixed) and spianata (flattened) with fingers for kneading, elbow grease and a good old fashioned matterello (rolling pin.) Florindo’s wife Maria and Narciso’s wife Floria would make the pasta sheets and hand cut the ravioli con la carne. Depending on the availability of produce they would also make potato gnocchi. Ever the entrepreneur, Florindo recognised the increasing work demands placed on the family and travelled to meet with machine manufacturers Saima in Genoa, Italy. Importing their first machines to Perth, he returned with two; one to mix the pasta and the other for the ravioli. In 1964, Golden Ravioli was born. With eight family members living under the one roof, it initially operated out of the newly refurbished garage of Florindo and Maria’s North Perth home. As few stores stocked the staples of the Italian cuisine it wasn’t long before the Perth community came knocking. The brothers began selling ravioli direct to the public – which quickly reached communities beyond those of Italian immigrants. Working around the clock, the brothers took shifts, even working nights to fill orders. Still not able to keep up with the increasing demand, the ravioli continued to be made by hand for the restaurant. It wasn’t long before it was time to invest in bigger machines … and more of them. Golden Ravioli began to evolve, operating out of the back of the restaurant. Eventually, trays of lasagna with béchamel and spinach and ricotta cannelloni were made for wholesale orders and also featured on the menu. Litres of sauce were simmered on the stove for years before they bought the mixomatic, whilst each raviolo was separated and counted by hand. When the public’s interest heightened and their taste matured, Golden Ravioli adapted once again. Eventually the sfogliatrice (roller) and the tortellini machines were bought in order to produce different varieties of pasta and fillings. The Romany Restaurant’s popularity continued to soar under the management of the Lenzarini family, extending from one saloon to two and then eventually three. The original restaurant was renovated in 1973 with an addition of a bar and subsequent liquor licence. The menu of the oldest restaurant in Perth remained relatively unchanged for 60 years, until its closure in May 2018 – proof that Florindo eventually earned his title as chef. His creativity and success can be tasted in his recipes that are still used today in the production of our pasta. PICTURED: Florindo and Maria Lenzarini’s family home in Piano della Rocca, province of Lucca, Tuscany. In 1988 Golden Ravioli moved into its own retail store and factory premise in Romany House, 256 Fitzgerald St, North Perth … some would say that still more space is still needed! 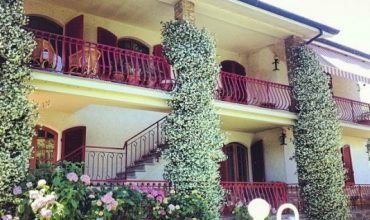 With his wife Maria, Florindo eventually bought the Tuscan house and property that the family had worked, and filled it with furniture and artwork from Australia. Photos hung of the Perth skyline illustrates a great love and gratitude for both their origins in Italy, and our home in Australia; a fine marriage of two wonderful cultures. 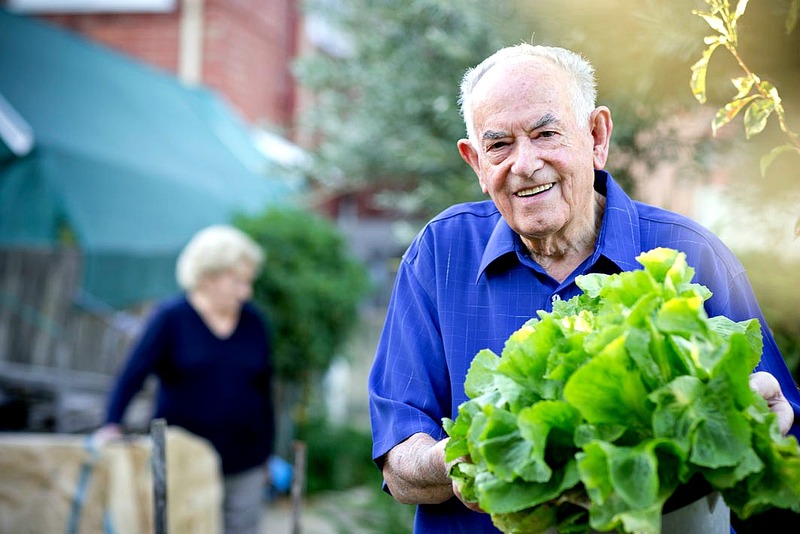 “Golden Ravioli has been instrumental over the decades in helping to both influence and tutor the people of Perth in Italian food and culture. As a family, and an immensely proud small business, Golden Ravioli has evolved to secure its name in the history of our city. PICTURED: Danny with his daughter Renee (Marketing Manager/Customer Relations) and his uncle Narciso. In his father Florindo’s footsteps, Danny’s leadership inspires Golden Ravioli to maintain its success as a family business. We will continue to strive to preserve the quality of our product and our good name; a reputation that was founded so many years ago on authenticity and tradition. We have grown and matured since those early days, when ravioli were once bought by the dozen instead of a kilo. But there are some things that never change. Today, our lasagna and spinach and ricotta cannelloni are still carefully crafted by hand. Each variety of our pasta is also portioned, weighed and packaged by our staff members. Our most paramount objective is to sustain the right balance between efficiency and quality, specifically when challenged by other industry manufacturers. As our story is one of culture and nature we propose to implement strategies to develop our social and environmental awareness. The future direction of Golden Ravioli will be to review and improve upon our processes and our practices to enhance our product and thus consumer choice. Embodying a wonderful combination of family, food and hard work, our family business is representative of the rich character and flavour of the North Perth community (see also: In the Community).